Leather jackets are cool. The touch, the smell, the look. Faded and worn just makes ’em better. They’re never out of style, they define style. And not just for rockers and motorists. 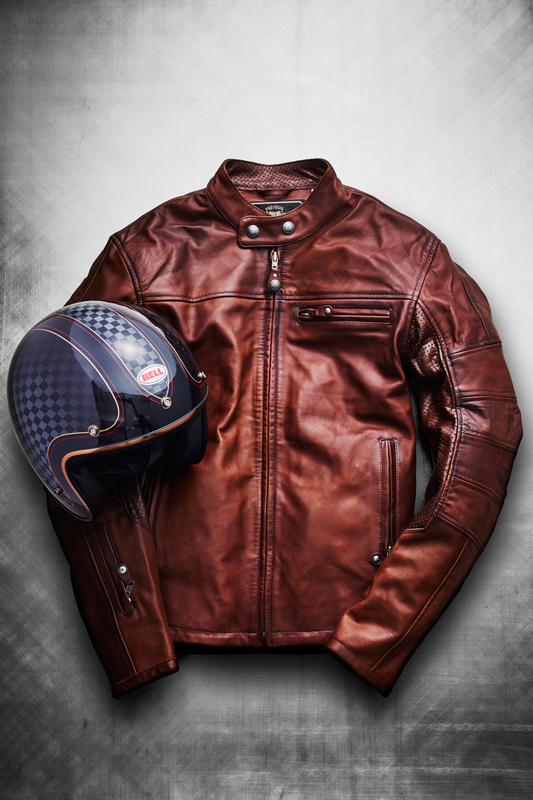 Leather makes a statement whether as a classic bomber, traditional peacoat or, yes, an iconic motorcycle jacket. It doesn’t hurt that they keep out crisp fall air, too. 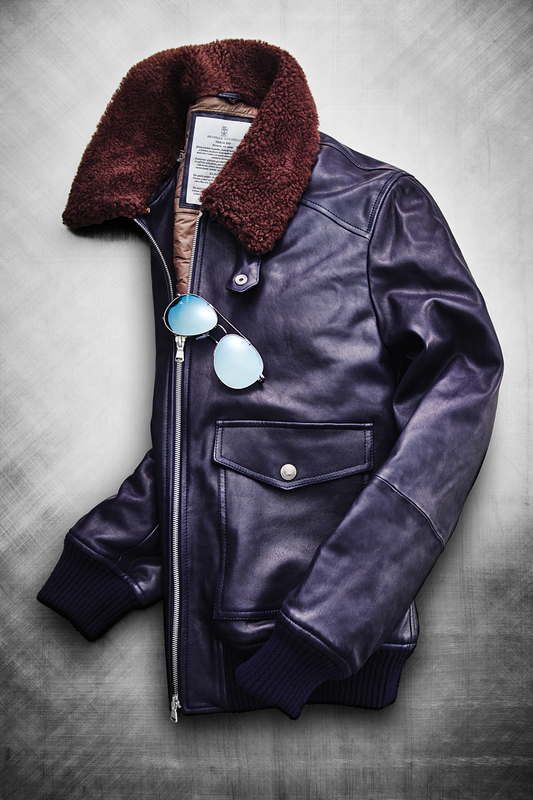 The bomber jacket: the one leather to own if a man can only have one. Like a well-oiled mitt that’s seen its fair share of off-seasons under a mattress, the bomber is an article that works best when purposefully worn in. Originally made to keep G.I.s tucked tight in cockpits and gunnery holds, it should fit like a second skin. This piece from engineering dropout Brunello Cucinelli is a study in perfect angles and proportions cut from Italian leather, $5,440 at barneys.com. 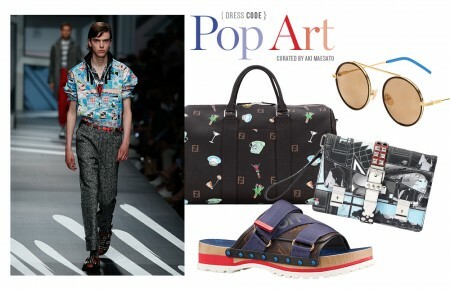 The only accessory fitting enough for this coat is a pair of true-blue aviator sunglasses. It might be an on-the-nose choice, but what a matchup. Tom Ford’s Colin aviators in light ruthenium, $370, give the wearer the calm, steely gaze of a gunman staring down the barrel at a tail on his 6. Just call him Mr. Cucumber, as in cool-as-a. Sunglasses through Precision Eyecare in Huntington. Brando solidified the motorcycle jacket’s Rebel status, but the only cause you need for wearing this modern update is ’cause it looks damn good. The Ronin by Roland Sands Design is cut clean and contemporary with European styling, $620 at rolandsands.com. It’s stitched from exclusive Airborne leather—that’s oiled cowhide soaked and air-dried for four days, then hand waxed for maximum suppleness and one-of-a-kind persona. Though this garment is at ease both in and out of the saddle, when straddling two-wheels it needs modern safety with old-school appeal to match. In 1954, the founder of Bell helmets crafted his original 500 model from fiberglass and the Custom 500 Special Edition pays homage, $160 at bellhelmets.com. With updated safety tech, like a multi-density EPS liner finished with quilted micro-suede, the checkered pattern design rimmed by red and gold pinstripes harkens back to the era of café racers and British rockers. A peacoat in twine-brown goat suede is a sophisticated statement piece not just for dapper British Time Lords of derring-do. (Excuse the Doctor Who reference.) John Varvatos’ double-breasted, slim-fit construction with antiqued silver, crest-emblazoned buttons is a timeless look. Leather tape seams on the armholes, back centerline, sleeves and pockets add subtle edginess and modern style, $1200. It’ll keep out the autumn chill and pull double-duty for business or pleasure. Keep things comfy and classy by pairing it with a lightweight charcoal check scarf. 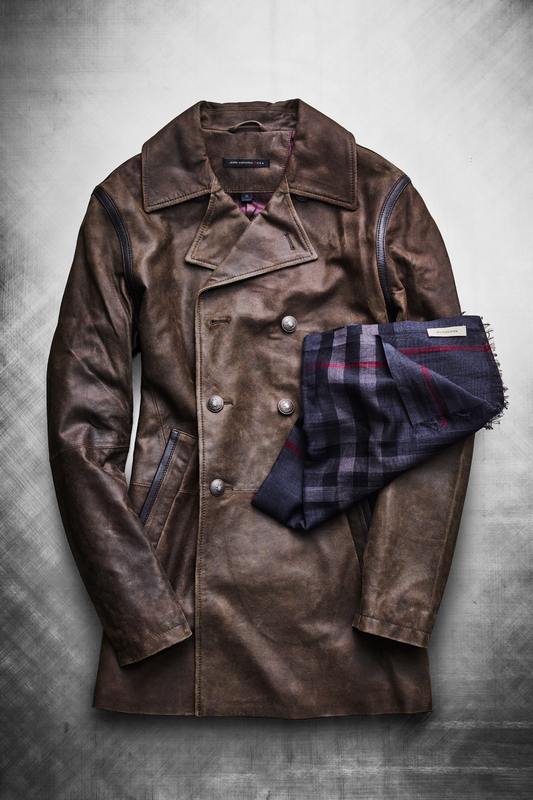 Burberry is synonymous with contemporary style and elegance and the wool and silk gauze weave is a perfect complement to rugged leather, $395.